I just added two Cozy Mystery series to the site which both happen to come from Guideposts. Guideposts is a company that specializes in “Inspiration. Faith. Hope.” Over the years I have heard from Cozy Mystery readers who enjoy these series a lot. 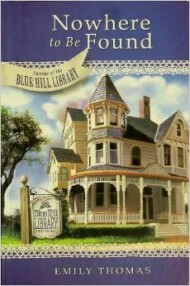 I have several Guideposts mystery series on my site: Church Choir Mysteries Series, Miracles of Marble Cove Mystery Series, Mysteries of Silver Peak Series, Mysteries of Sparrow Island Series, Mystery and the Minister’s Wife Series, Patchwork Mystery Series, Secrets of Blue Hill Library Mystery Series, and Secrets of Mary’s Bookshop Mystery Series. I also have a few of the Guideposts non mystery series on the site: Home to Heather Creek Series, Stories from Hope Haven Series, and Tales from Grace Chapel Inn. This past week I was trying to come up with a way to list all of the Guideposts series (both their mysteries as well as their non mystery series) and I decided to go ahead and make a Guideposts page that has all of the different series listed, with links to their corresponding pages on the site. Thank you, Barb E.! Barb and I have sort of become Cozy Mystery reader pen-pals, although I have to admit that Barb is much better than I am about keeping in touch! Because of Barb, I have been able to find out about new Cozy Mystery series that come from mail-order clubs. Many of which I have listed on my No Swearing/No Profanity Cozy Mystery list. Last month, Barb sent me a list of lots of Cozy Mysteries from Guideposts. 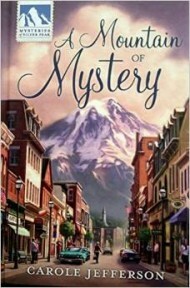 Not only did she give me the titles and authors of some of the books I was missing from these mail-order Cozy Mystery series, but she also told me about the above two Guideposts series. Again, Barb E, thank you for all of your help! Well, now the folks who dislike swears in their mysteries will know what to look for! Do you mind continuing to classify these as Guideposts Mysteries on the site? Because I kinda like to keep my mysteries and religion separate. Marja, yes, I’ll do that. I have read both these mysteries and I am especially enjoying the Silver Peak Mysteries. I love Guidepost books especially their mystery series. They have several. Some are better than others but still worth checking into. Donna, thanks for the Guideposts shout-out. I know there are quite a few Cozy Mystery fans who are fans of their mystery series. I have a minor editorial comment. Unless the nine year old has somehow managed to be a widow, you have a misplaced modifier. Thanks again for adding the Guideposts mysteries and once again making my TBR pile that much bigger! Denise, I know what you’re saying! My TBR pile is so unruly that I’ve had to make folders on my Kindle. (“Favorite Authors”, “Possible Reads”, “Maybe Books”, ETC.) Too many books, and way too much time spent on my computer! I like the Guideposts series that I have read so far. Thank you, Barb and Cozy site for putting them in order. It makes things so much simpler. Billie, you’re welcome. I had been meaning to get that Guideposts page done for a few years. Barb was fabulous!